Getting to VBC: Are EHRs Up to the Task? The EHR market is maturing at the same time that value-based care (VBC) has grown more permanent roots in the often-rocky healthcare landscape. 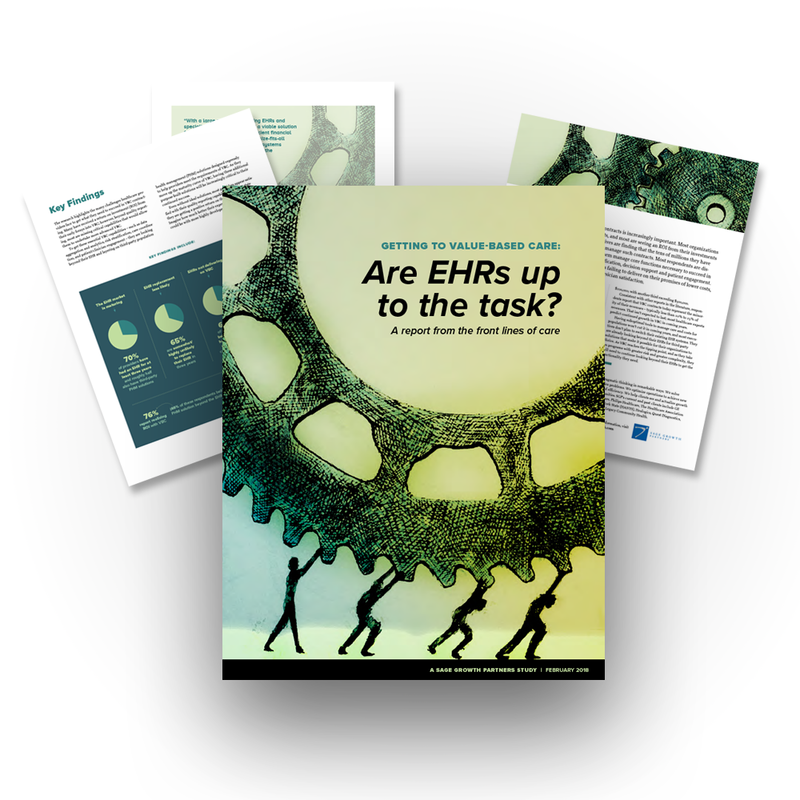 As the inpatient EHR market begins to consolidate, it’s a good time to understand leaders’ perspectives about what EHRs can – and can’t – do well to give them what they need in today’s environment. To date, much of the information on this topic has come from anecdotal reports and a handful of surveys. This 2018 report from Sage Growth Partners (SGP) adds to the knowledge base with insights garnered from an online survey of 100 healthcare executives as well as the perspectives acquired from six qualitative interviews.